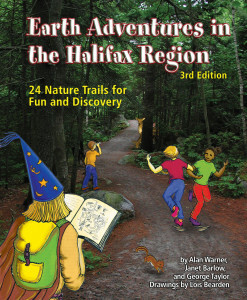 This adventure follows the Titus Smith trail and is an enjoyable stroll through a managed woodlot with a variety of forest types. Secret agents needed! The sun is receiving mysterious messages that demand more sunlight from this area. Your mission is to find out who is demanding more sunlight and why. Go undercover; disguise yourselves as a beam of sunlight.